As regular readers will know, I love watches. To some people, a watch is a relic, an obsolete item that has been replaced by smartphones, or even a smart watch. To others, a watch is just something that tells the time. To me, a watch is an object to admire, a statement piece, a finishing touch. A watch can become indelibly linked to you. An object that loved ones can cherish to remember you long after you've gone. And of course, it tells the time. I have a soft spot for watch company Timex. My first ever watch was a Timex. My second watch was a Timex too. I currently have two Timex watches in my collection, a Weekender and a vintage mechanical one that was made in Dundee in Scotland. 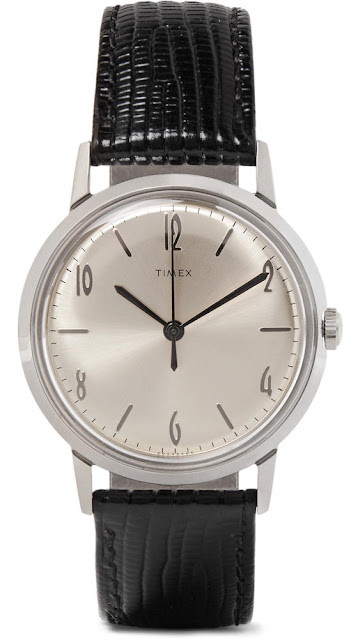 This week, I discovered a new Timex watch and just had to share it with you. Now, watches get released all the time but this one is special. In modern times, it’s not uncommon to see watches the size of dinner plates. Most watches are run by Quartz batteries too, which are accurate but a little lacking in soul. 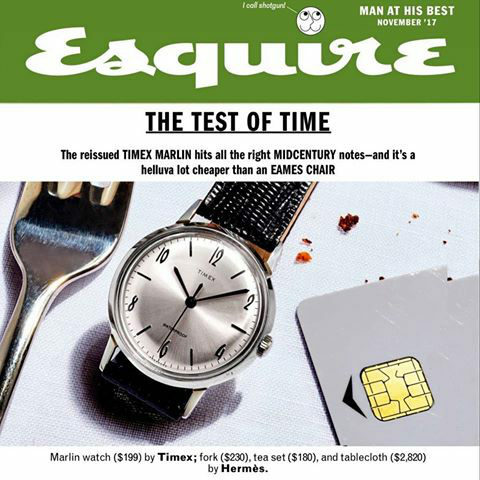 Excitingly, the new release from Timex is one that they’ve unearthed from their extensive archives. 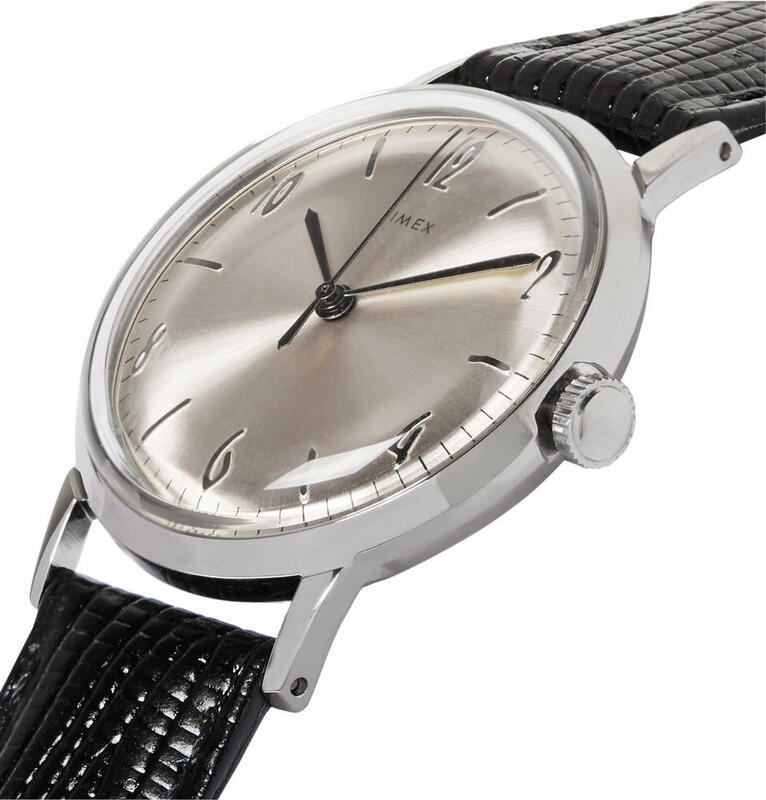 Called the Timex Marlin, it’s a reissue of a watch of the same name from the 1960s. What’s more, as far as I can make out from the limited information available, it’s a faithful re-issue. Usually with these things, it’s not uncommon to see a few changes made to bring it up-to-date for modern audiences. But no. Like the original Timex Marlin, it’s the same 34mm size, which is incredibly small by modern standards. What makes the watch even more impressive is that inside the stainless steel case is the ultimate beating heart – a mechanical hand-wound movement. So now you can be just like grandpa. Do I sound excited? I really am. For me, this is incredibly thrilling news. A sign that old-fashioned doesn’t mean outdated. At this juncture, you might be starting to suspect that Timex have plied me with some cash or a free watch. Not at all. It’s a very brave move by Timex and I applaud them for going back to their roots and dipping their toes in the water with a classic sized hand cranker. 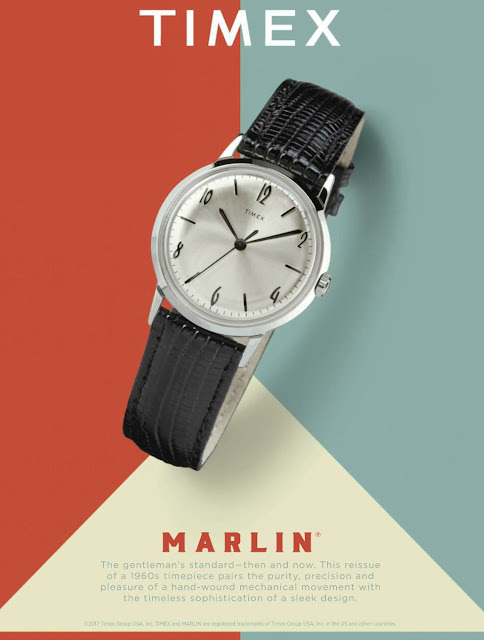 If you’re on the hunt for a stylish new timepiece, I think the Timex Marlin could be just the ticket. 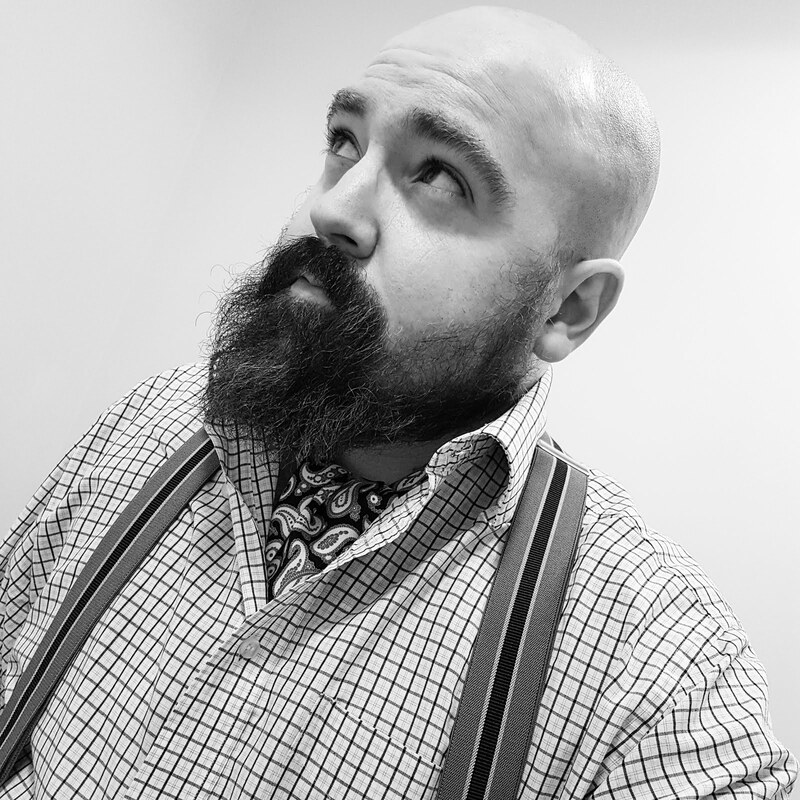 And ideal if like me, you want to pretend you're Don Draper from Mad Men. Available from two places, Mr Porter if you're in Blighty or Todd Snyder if you reside in the USA. it is billed as limited edition. Quite how limited it is remains to be seen, but if you're keen, I wouldn't dilly-dally for too long. There's also a short video on that there YouTube. Gah, I went to lookto see if it would be a good Christmas gift for the husbeast, but it had already sold out. Such is the influence of Norty!